With Martin in Toronto, Oli & Benno hold down the fort and talk all the latest in the BritWres and wider European scene. 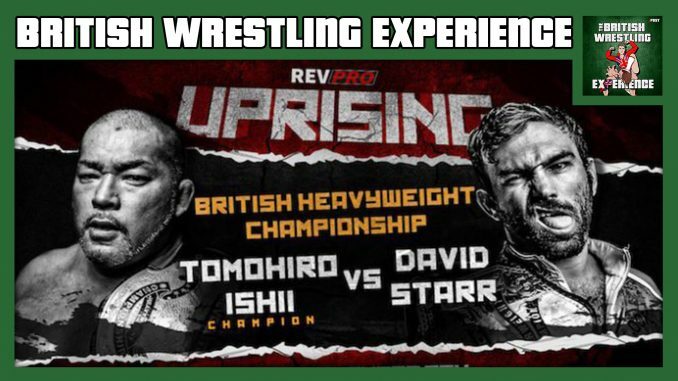 They talk RevPro Uprising (Ishii vs. Starr, Aussie Open vs. Suzuki Gun) and the last two shows from Progress, firstly Chapter 77 from Camden (Zack Sabre Jr vs. WALTER) and then Chapter 78 from Manchester (Mark Haskins vs. WALTER, Eddie Dennis vs. Mike Bailey). They also discuss the latest highlights from NXT UK, RevPro’s World Of Pro Wrestling TV Show on Freesports, recent WWE tryouts in Germany, PAC’s upcoming dates on the British indie scene and the latest on the ITV WOS January tour.